Dive into Caroline Buchanan's pre season training insights as she takes you behind the scenes at one of her training sessions working on the most important part of the race. The gate start! 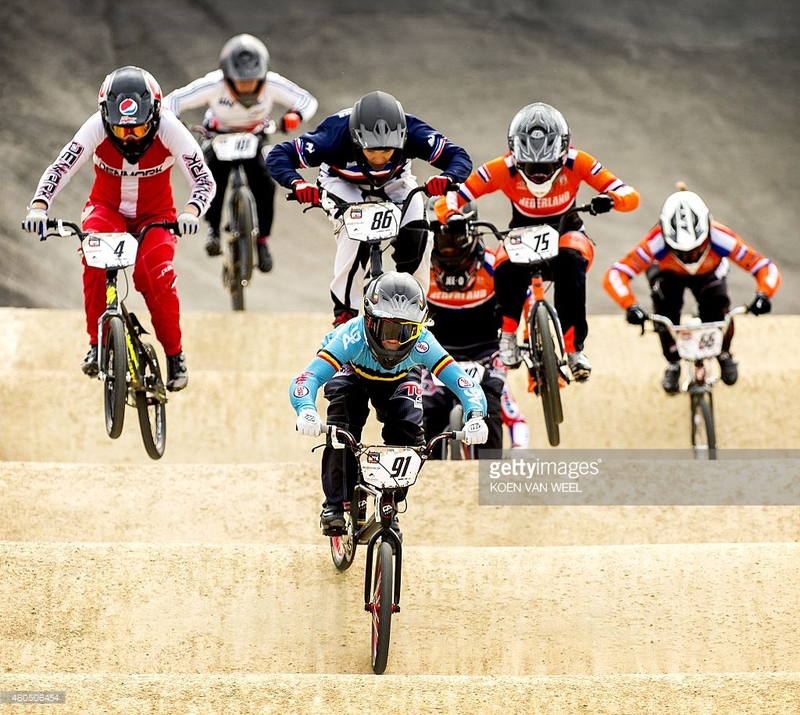 Hear from Australian BMX High Performance Unit coach Wade Bootes and their plans for 2016. Mixing it up off the bike to kick off the new year Caroline and the Australian BMX HPU Team take out the boat for some life balance fun whilst on camp. Enjoying wake boarding and overcoming fear rock climbing with Sarsha Huntington. I want to take a moment and introduce you to Analia Zacarias. 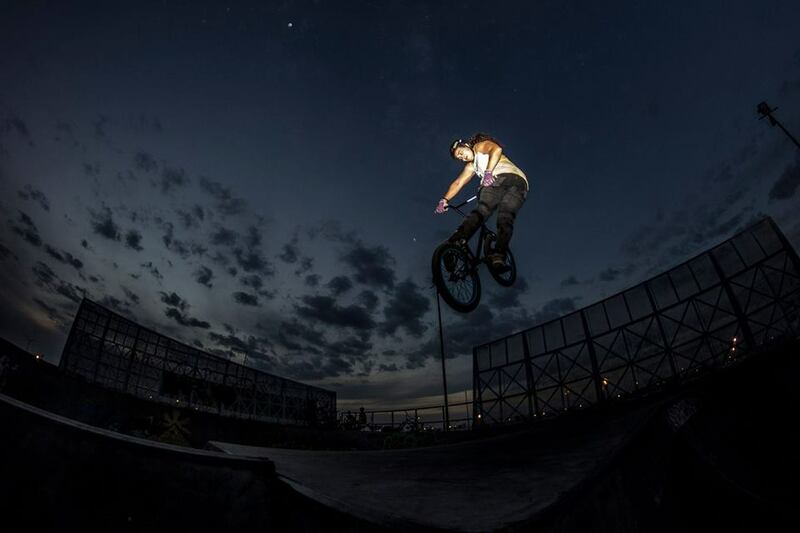 She's a 26 year old rider from Posadas, Misiones Argentina, she started riding at 18 and kills it in park and street. 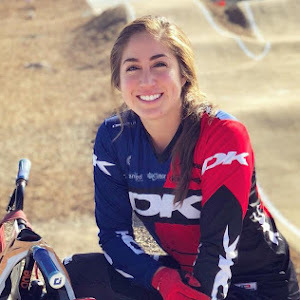 What made me want to do an interview with her was seeing her riding clips on Instagram, which you can follower here at @analiabmxz. Get to know her below. What made you decide to start riding at 18? When I was 14, my father gave me my first bicycle, A Revo Haro. 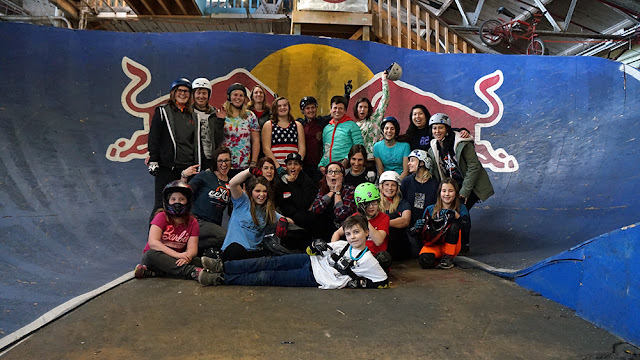 The first time I saw BMX was on X Games, I felt I could do it, and at 18 I met some friends in my neighborhood that rode, so I started to practice with them. 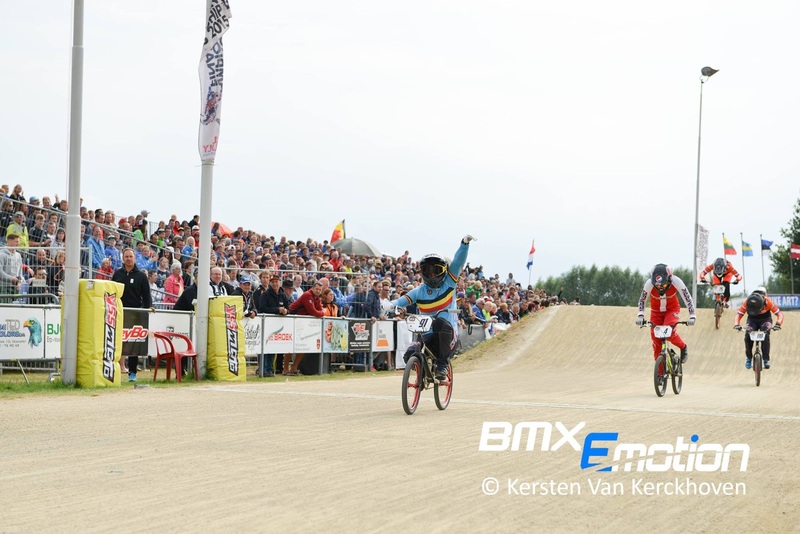 I saw it was difficult, but eventually I fell in love with the sport, and the BMX lifestyle. ¿Que fue lo que hizo que decidieras empezar a montar bici a los 18 años? Cuando tenia 14 años , mi padre me regalo mi primer bicicleta una haro revo, y comencé a ver el la television los x games y vi por primera vez lo que era el bmx , sentí que podía hacerlo , y a los 18 conocí a unos amigos de mi barrio que andaban en bici y me puse a practicar con ellos y vi que era dificil , pero con el tiempo me fui enamorando del deporte y la forma de vida del biker. How would you describe your style of riding? ¿Como describirías tu estilo de montar? 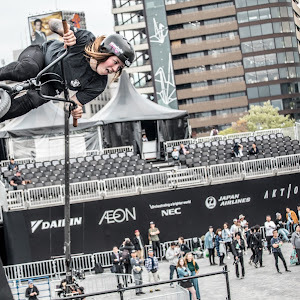 me gusta fluir mucho en los park, me gustan mucho los trucos fluidos así que mi estilo es el park....pero también me gusta andar en dirt y street. As you were new and learning, what was the one skill that took you the longest to learn, and what advice would you have for new riders? What took time was building confidence with the bike, as time passes and you overcome fears, and training is the most important in this sport. 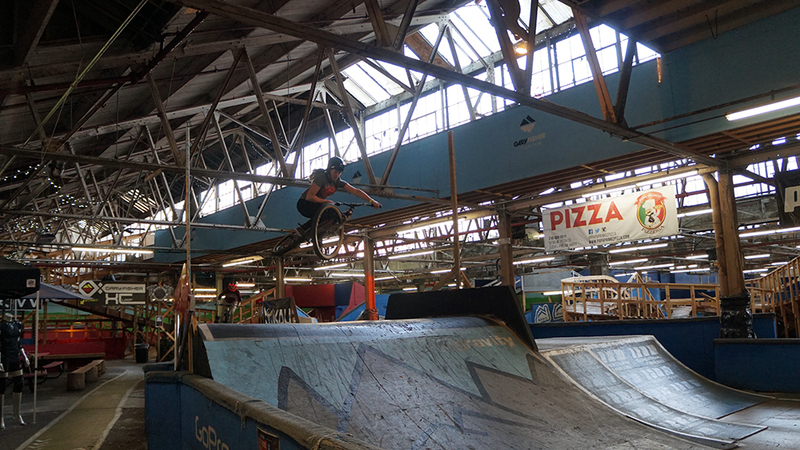 The trick that took me the longest to learn were barspins haha, I was scared, but now I can throw them out any time. Be confident and have enthusiasm, in order to make any trick work. ¿Cuándo eras mas nueva y tuviste que aprender, cual fue la habilidad que te tomo mas tiempo aprender? y ¿Qué consejo le darias a principiantes? Lo que me tomo tiempo fue la confianza con la bici , a medida que pasa el tiempo y vas mejorando los miedos . y el entrenamiento es lo mas importante en este deporte. 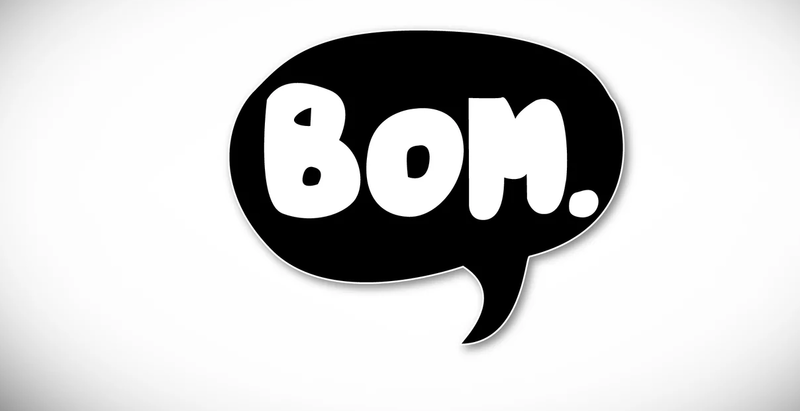 el truco que me costo un poco fue el barspin jaja me daba miedo , pero una vez que sale salen todas las veces , por eso es importante la confianza. mi concejo es siempre que te subes a la bici tienes que estar seguro y con mucha confianza y mucho entusiasmo para hacer cualquier truco. So how did you injure your knee? December 7/2015 is an unforgettable day haha. 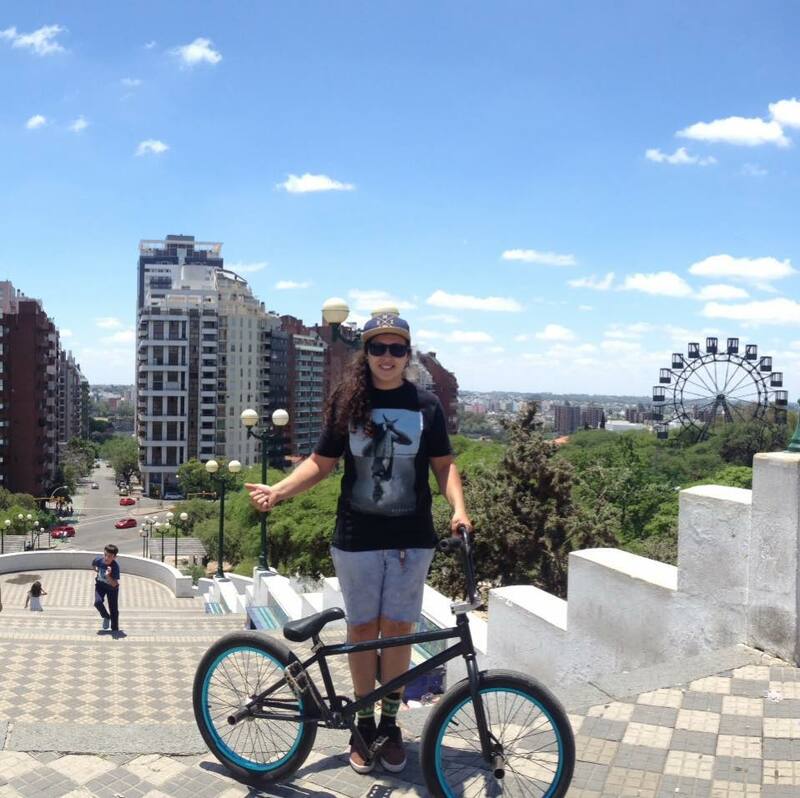 We were traveling with friends in Cordoba -Argentina, we decided to ride dirt at a friends, and well, we started to ride and it was very foolish how I hurt my knee. 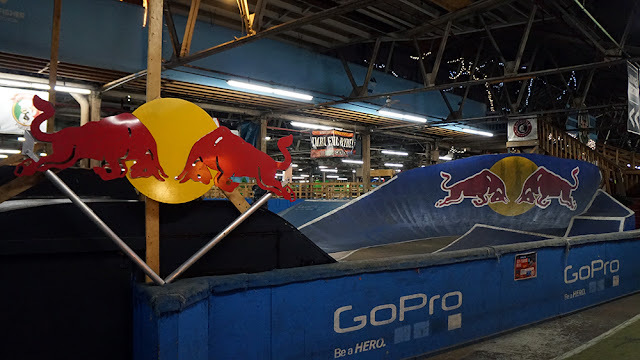 I jumped from a dirt jumpbox to flat, the pain was in my right knee, and that's when I knew... I had twisted knee. I injured one knee ligament, but I should be back around April. Entones, ¿Cómo te lesionaste la rodilla? El 7/2015 de diciembre un día inolvidable jaja , ese día estábamos de viaje con amigos en córdoba - Argentina , decidimos ir a andar un rato en los dirts de un amigo , y bueno , nos pusimos a andar y fue muy tonto como me lesione la rodilla , salte un jumpbox de tierra y cuando me doy cuanta estoy en el piso y no podía ni respirar del dolor en la rodilla derecha, y ahí fue cuando supe que me había torcido la rodilla. Me lesiones uno de los ligamento de la rodilla y ahora solo recuperándome creo que para abril ya estoy de nuevo en la bici. Do you have a rider you look up to, and why? 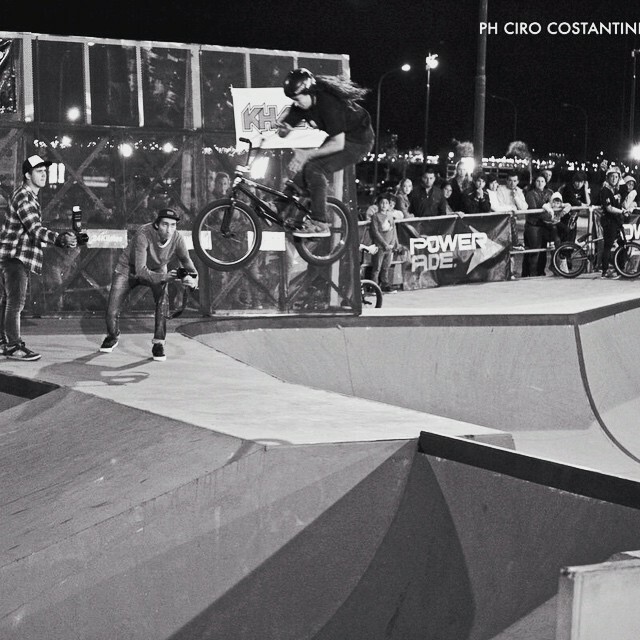 The rider that I admire is Kevin Peraza, I like his style, and how he always rides with a big smile. Which is the most important thing that gives us happiness and transmits the bike. Hay algún rider que admiras? Y ¿Por que? El rider al que admiro mucho es Kevin Peraza , me gusta su estilo y la forma en que siempre esta en su bici, con una gran sonrisa. que es lo mas importante la felicidad que nos da y transmite la bike. Are there a lot of spots in posadas misiones to ride? Where else in Argentina would you recommend going for those who many want to travel to ride? Yes, my city has grown considerably in recent years. 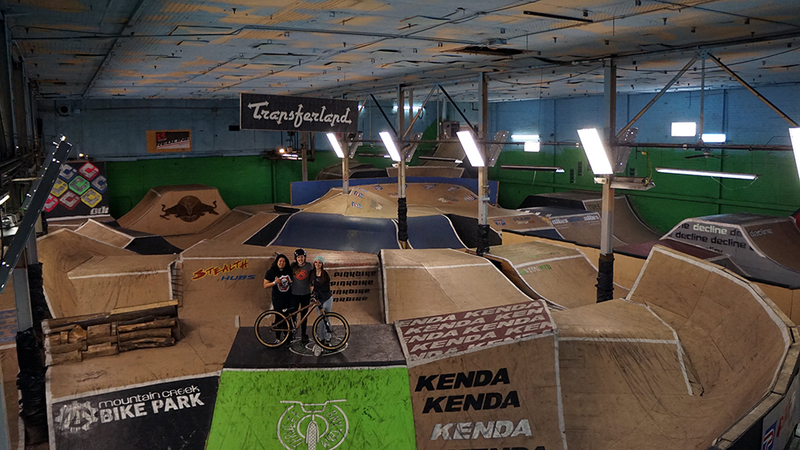 We've had an official bike park for 3 years now, and a skatepark, of course street spots as well. I recommend going to Buenos Aires, La Plata in the locality Ensenada -it's a huge park, and a good indoor park is Helltrack in Rosario. ¿Hay muchos lugares donde puedes ride en Posadas Misionesto? ¿Qué lugares recomendarías en Argentina para todos aquellos que quieren viajar para ride? 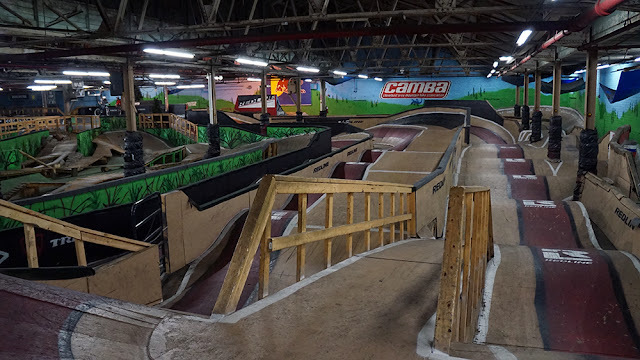 uno de los parques que me gustan mucho esta en Buenos Aires, la plata en la localidad Ensenada , un park enorme y otro buen park es el indoor Helltrack en Rosario. My dream is to ride Woodward. I think in early May, I will be in the United States so I'm very happy. I'm strengthening my knee so I can ride. Mi sueño es conocer woodward y andar todo el dia en bici ahhaha y conocer spot en california . creo que para principios de mayo estare en los estados unidos así que estoy muy feliz , y rehabilitando fuerte mi rodilla para andar mucho en bici. ¿Cuál es tu canción favorita en estos momentos? mis canciones favoritas son del genero electrónico me gusta mucho el deep house y mi canción favorita por siempre es de Britney Spears con toxic. If you were to only ride dirt or park for the rest of your life, which one would you choose? Si tuvieras que decidir entre ride en dirt o en el park, ¿que escogerías? For now I have two, one of which is a clothing store, Nativus Surf Shop and the other is Carlos.E.EnriquezS.A. , they help me when I have to buy tickets for the trip to compete. With the weeks then days that led up to this weekend, I was becoming more and more stressed. I had deadlines at work, things to pack up, and events to go to. But when the day finally came, it turn out to be the most fun weekend ever. On Thursday we arrived at Ray's MTB Park, so that our buddy Trish could go to a staff meeting. Dezzi and I took advantage of seeing what the park was like off our bikes before the big 3 day Women's Weekend. The park is jaw dropping, rooms and lines that can help any style of rider. The swag was pretty sweet. Everyone received a goodie bag with their lunch, along with a raffle ticket. I won a $150 Camelbac which was exactly what I wanted. 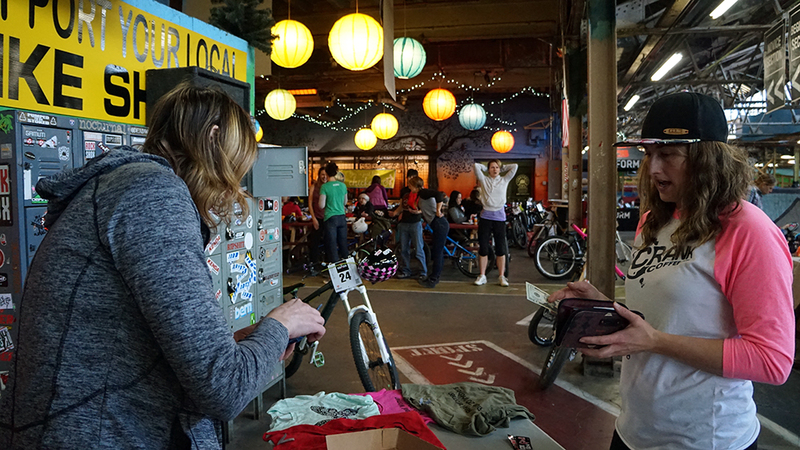 We (Magnolia BMX) also donated shirts and a necklace to the pile as well. 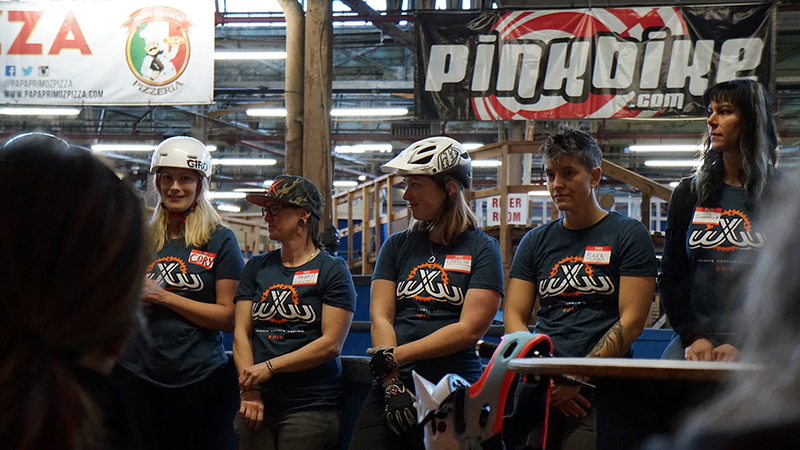 Some of the ladies won a custom Trek bike and another a cruiser. 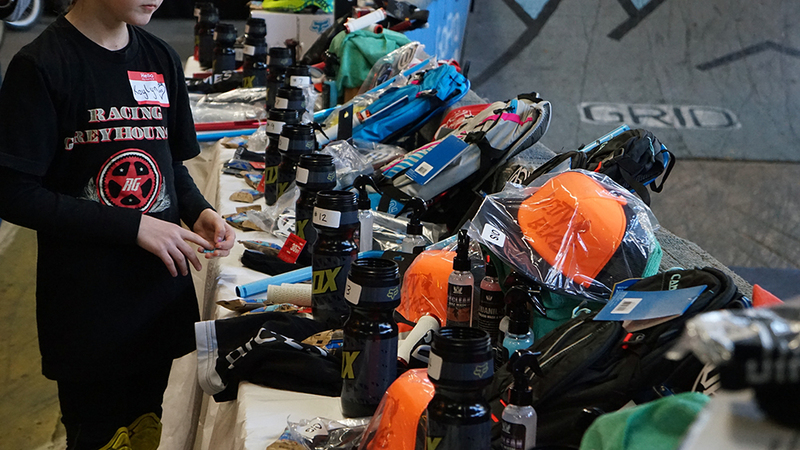 The prizes were geared more to the XC / Mountain riders. Ray's had a huge turnout, and the group of people who attended were already into riding, unlike the Joyride's Women's Weekend, where they had a lot of newer, first time riders. 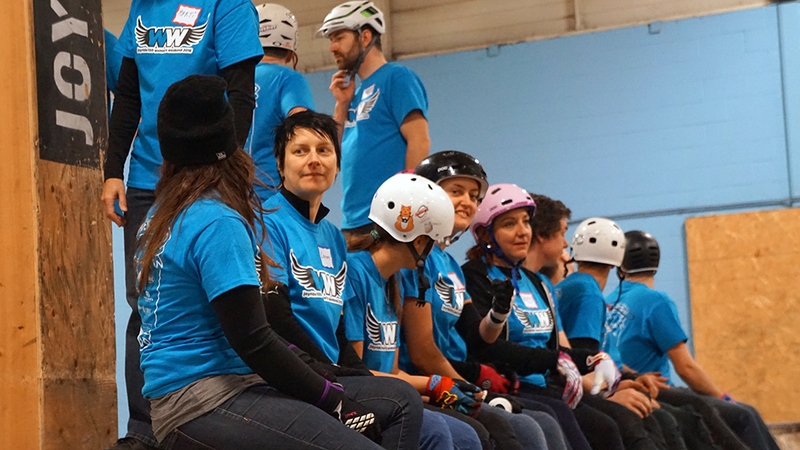 You can overhear the ladies talk about progressing, what they wanted to try next, and how much fun they were having. The BMX turnout was strong too, even though we only made up a small percentage compared to the rest of the attendance, it was still a fun group with lots of notable faces. Big thanks to Trish, she's the nicest, raddest girl you will ever meet. She can belt out a tune like no other, and most importantly she'll get you pumped to ride. Thank you for taking me on this trip! I'm disappointed with the lack of riding photos of myself, but this is what happens when you're busy having fun. I'm looking forward to the next Women's Weekend and one of these days I hope to be a coach with accolades of my own to talk about. Can you tell us a little bit about how you were introduced to racing? I was a really active kid, played different kind of sports. In 1999 my dad bought me a BMX race bike, and a few months later they built a BMX track in my home town. I really loved to ride and the next year I had my first race license and became Belgian Champion in 2000 racing against the boys :). Where in Belgium do you spend your time training, and if you could choose a location to always train at, where would it be? 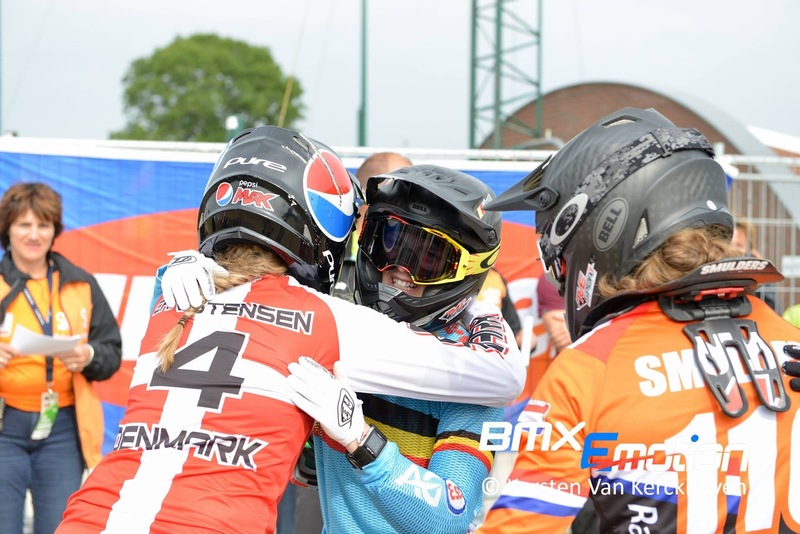 We have the BMX supercross track in Zolder where I ride the most, but the Belgian weather isn’t always good for us so I prefer to ride in warmer country’s like France and America. I saw a clip of you riding an indoor park, do you do that often? How does park play a role in racing or the other way around? It’s fun and a good way to improve your techniques, it’s something different then the race track. Last year we saw a lot of situations where the racers had to compete in really bad conditions, have you ever questioned yourself if you should be in the gate? Being 10th in the UCI rankings put’s you ( I assume) in a very good position for the Olympics in Rio. What are your thoughts on the track and how is the preparation going? Are you looking forward to any other sports while there? The Olympics is the biggest competition for any athlete in the world, and every racer is dreaming about that goal. I can say I’m in a good position for the moment but the points are still counting and the 2016 season still needs to start. How are you healing up so far, I see you’re going through some fun rehab for your knee? I see you also coach and train, with traveling during the race season and competition, where do you find the time? I really love to do something to give back in the sport and really love to coach those kids. Sometimes it's a bit busy but I need to have something different next to all the racing and training. I see you’re sponsored through Oakley, what goggles do you wear? 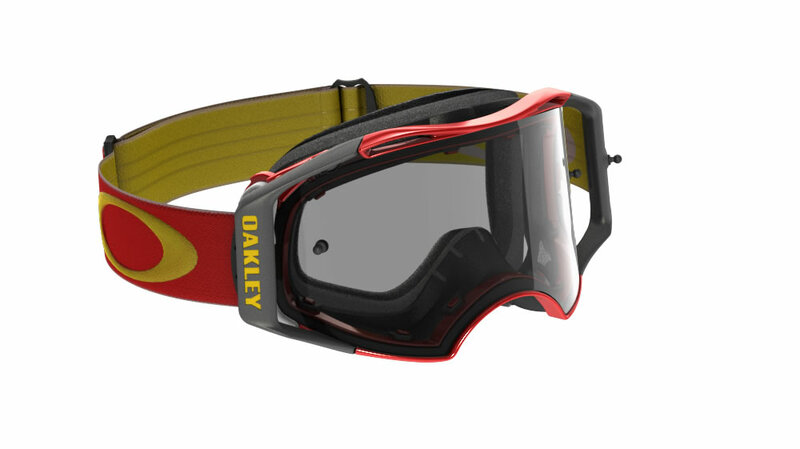 I’m racing with the Oakley airbrake MX I really love those goggles. I tried different brands because of the team sponsors, but I always come back to Oakley ! Best thing to eat while in Belgium: I really like the food in Belgium, if your here you need to try the Belgium fries, chocolate and beer, I know those are not the healthy ones but just eat them on your cheat day :p !! Misa from Japan just sent over this awesome edit of her and her friends shredding from all over Japan. I thought I was in trouble when the opening scene involved Japanese school girls with pixelated faces... but it's a safe edit.. I swear. BOM2015 - Mosaic from BOM. on Vimeo. On paper, Caroline Buchanan went into her debut Olympics in London poised for victory. She was ranked No. 1, came first in her semi-final and had first pick on the lane draw which, theoretically, would deliver her the gold. Except, the final didn’t go to plan. 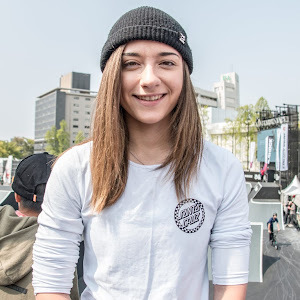 Please tell me a little about yourself, and how you met Adam LZ. I’m 21 and come from a family of six (two parents, three older brothers, and myself). Growing up as the only girl with three brothers, I was still pretty girly but of course was used to playing outside often and playing sports with my brothers. For a few years, my brothers were actually into skateboarding, and we had a quarter pipe, rail, box, and mini ramp in my backyard. I had my own neon pink skateboard but never really learned any cool tricks. I understand you’re in college, what are you studying? I am currently attending UCF (University of Central Florida). My degree is in Elementary Education, but I may decide to teach or tutor middle school to high school math. I love little kids, but I also love challenging math, so I am in that decision process currently. I am a senior in college and will graduate with honors this May 2016. How were you introduced to BMX? I was introduced to BMX briefly when my brothers were in their skateboarding phase. I knew my brother rode a bike with pegs, and we would always play that Dave Mirra Freestyle BMX video game growing up. I never really knew much about the sport, however, until I met Adam. Once we met, I watched a lot of his videos and other riders and also went to the skate parks with him to see what the sport was all about and to hangout. 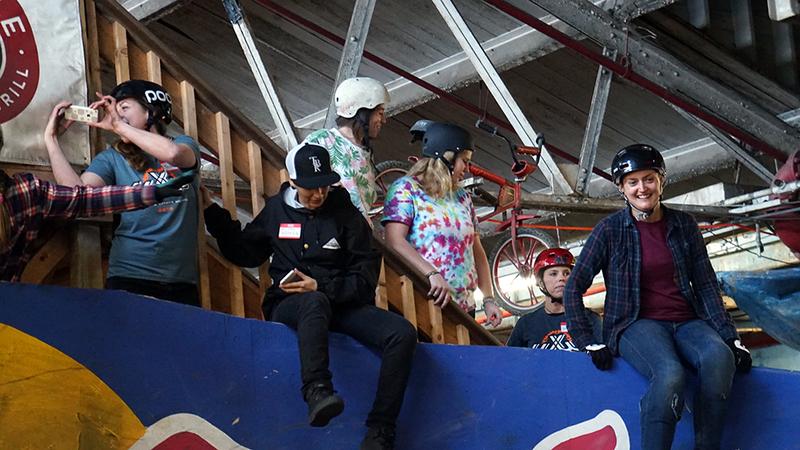 Compared to when you first started riding, what can you do now that you’re super proud of? What challenges (if any) have you faced showing up to a park? Hmmmm. Confidence. Definitely confidence. It’s intimidating arriving at these parks where people are doing 360 tailwhips and flares and knowing that all I can do is cruise around the bowl or the park and drop in depending on the incline and height…. And will likely need help getting out of the bowl. So, definitely confidence. I just have to remember that everyone started out where I was, and the only way to get better is to push myself and ride with people who are better than me and will push me within reason. It's easy to think that people are going to just make fun of you or laugh at you because you aren't good, but you've just gotta go out there and try and have fun anyway. If people do laugh at you or make jokes, people will usually have your back and help you get better. Just remember why you're there in the first place and what the sport is all about - having fun. Any challenges with internet trolls, how do you deal with them? Honestly, I just try to ignore them. If I get nasty, rude comments on a photo or on one of Adam’s YouTube videos, usually we have like a thousand fans that handle the situation for us before we even see what was commented in the first place. We have more people that support us than those who dislike us, so if either of us gets crap, there are thousands of fans that will tell that person why they’re wrong or argue back. We have the greatest fans, really. Another way I handle rude comments is just acknowledging them and making it seem like a joke. Usually the internet trolls just want you to start an argument back or to make us look bad, so if we just acknowledge it but don’t comment back meanly or anything, then it makes the troll look immature. I see you’ve dabbled in some flatland, any thoughts on developing more in that? I love that trick because it’s not too difficult and I’m not scared of falling. No one’s really taught me or shown me anything else that I think I can learn given my current skill level. I am trying to learn how to get out of the peg trick and get back onto my bike without having to touch my feet to the ground, but it’s pretty tough and will definitely take a while. It’s the challenge of the learning process that’s fun though! Is this a sport you would encourage young girls to do? I would definitely encourage young girls to do this sport! It’s so fun. It’s a great way to stay in shape. 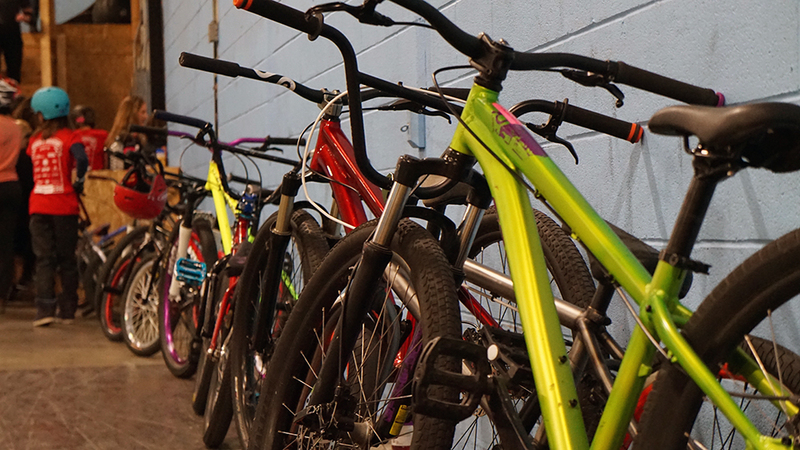 It’s an awesome sport for all skill levels – you can never be too bad or too good for BMX. You recognize your skill level, challenge that current level, and grow from it. 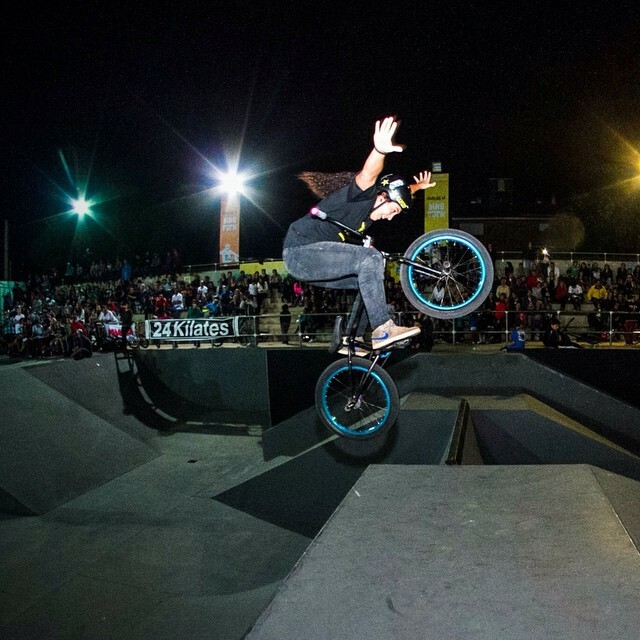 BMX is such a great sport because regardless if you’re a beginner or a pro, you always have the challenge of learning new tricks and the greatest feeling of accomplishment once you finally land the trick. Also, if you have male friends, brothers, or a boyfriend, it’s a great way to bond with them. Some of my favorite memories with Adam are when we are at the skate park or in the car traveling to or from a skate park. 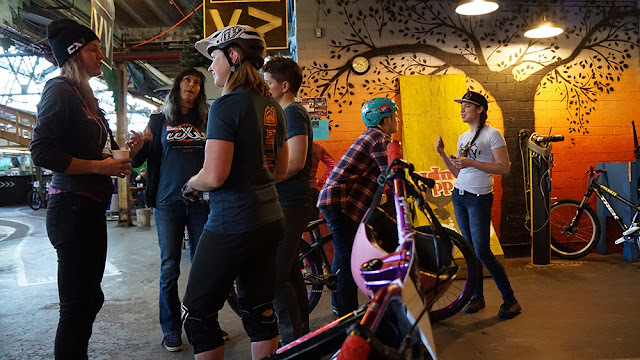 What are 3 top tips you have for a girl who is kinda thinking about trying BMX? 1) Just go try it out, regardless of your skill level. 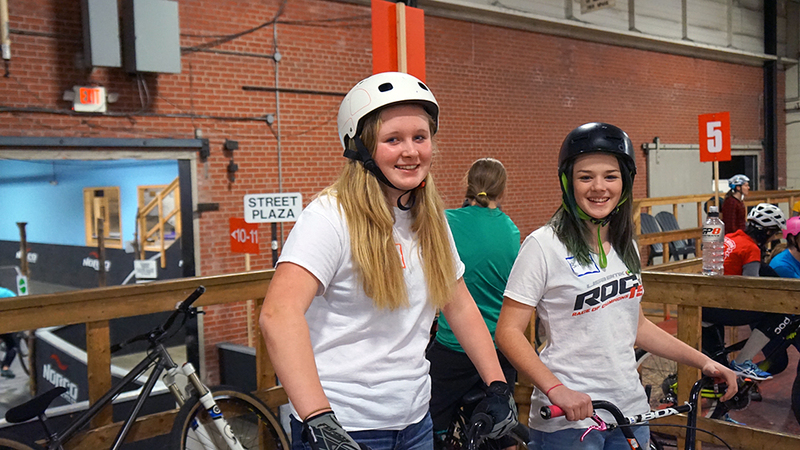 Even if you just cruise around on the bike at the skate park, until you actually get on the bike and feel what it’s like peddling around up and down minor slopes, you don’t realize how fun and awesome it is! 2) Don’t let people knock you down. It’s easy to feel intimidated due to skill level or due to being a girl… Put the two together and yikes! But seriously, you just have to stay confident and realize that everyone started out where you are. The majority of people at the skate parks will respect you for being a girl BMXer and for trying to learn new things. Chances are you’ll have people giving you tips and trying to help you out. So don’t scare yourself out of trying the sport! 3) Just have fun with it! Maybe you’ll see guys at your same skill level dropping in or doing insane tricks just a few weeks down the road while you’re still learning how to bunny hop. No big deal! Don’t take the sport too seriously. It’s all about having fun, hanging out with friends, and pushing yourself within reason. Be safe and have fun. Focus on what you can do and how much fun you’re having doing those tricks instead of the tricks you can’t do that the other riders are doing. Once people start taking the sport too seriously, it's not fun anymore. So just enjoy yourself! 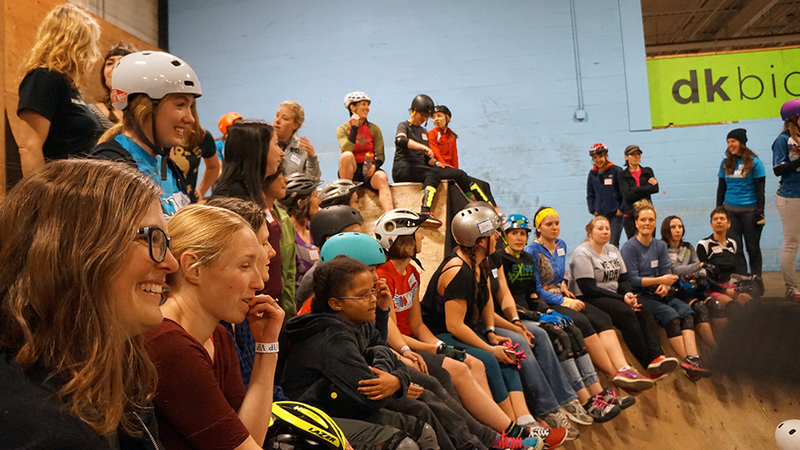 Natavoy asks What's the first move to start with in learning BMX? I'm a roadie, and just recently found my love of cross. I have a feeling I would love BMX just as much. - Definitely just start getting comfortable on your bike. 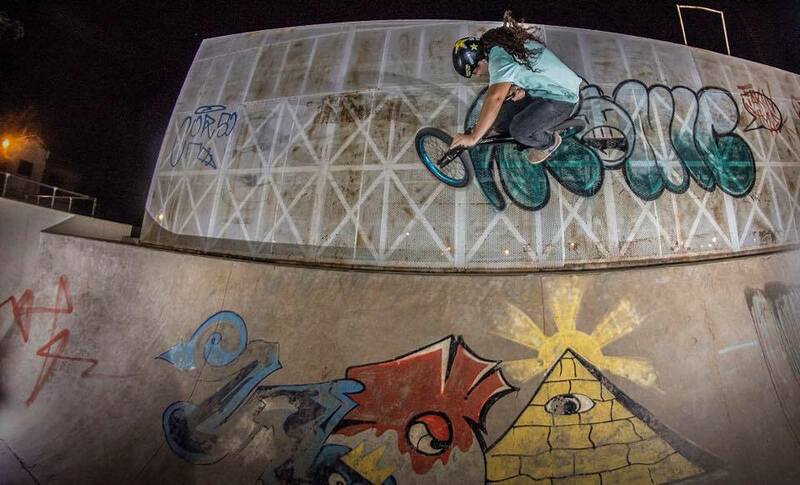 Go to a skatepark and cruise around the ramps and in the bowl! 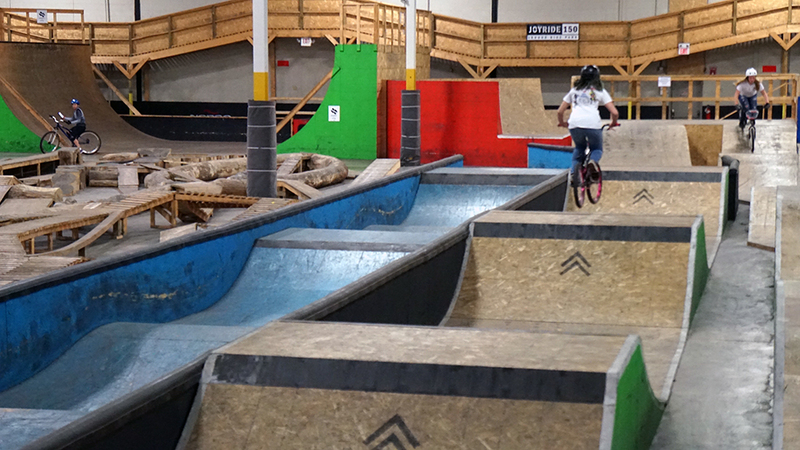 Once you're comfortable, you can start learning some basic tricks like a bunny hop or dropping into a bowl where it isn't too steep or far down! - Being able to spend the time together and building a stronger relationship for sure. We connect so much through filming together because I can see how hard he works to learn a new trick and can keep giving him words of encouragement. Then, once he lands something, we both feel the same sense of satisfaction. It's great being an integral part of the YouTube videos and helping him do what he loves while making funny comments and jokes behind and in front of the camera! Plus, I love that through filming him, I have become a part of the LZBMX team and have tons of fans that I can motivate, connect with, and talk to at the skateparks! - Nicole's peppers are flaming hot! As long as there's a bowl or half pipe for me to cruise around in, I'm down!! Zoae Spackman asks What psi do you run in your tires? Grips? - Whatever Adam puts in them haha about 60 psi! And right now, I'm riding Caleb Quanbeck's grips that came with the Stranger bike, but my favorites which I'll switch back to soon are the Odi super soft grips! They're great! They're literally all amazingly perfect, but if I was forced to choose, I'd say Love Story. If I had to choose my final meal before I died, I'd choose BBQ brisket with a baked potato (sour cream, cheese, and bacon bits), salad (with strawberries, clementines, candied pecans, and feta cheese), fruit kabob, and corn. Hmmmmm. Too many options! I don't care as long as it's special, intimate, and fun. Perfect date out would be getting picked up by the male (Adam), being dressed up fancy, and going to a nice restaurant (maybe that serves steak or Italian?). Then doing an activity after but not seeing a movie because you don't talk during the movie. So probably like mini golfing or something else fun. Then getting ice cream to end the date on a sweet note :) Not overly planned with high expectations; the best dates are semi-impromptu! Best date in would be making dinner together like trying to cook a new recipe! Then playing a game, baking, and watching Pretty Little Liars or a movie while eating what we baked with ice cream! That's a tough one. Probably a comment this boy named Christian made last summer when we went to Joyride. He said that he really looks to me for confidence because he knows if I try a trick or can land something then he has the confidence to try it himself. On that trip a parent also said that his son was more excited to come and meet me than Adam which shocked me. Those comments really showed me that I am an important part of LZBMX and revealed the impact I actually have on the fans. I always figured I wasn't good enough for fans to watch my riding and learn from me, but this showed me that I was wrong and fans actually learn from me, too! I hope everyone had an awesome weekend, I know I did! 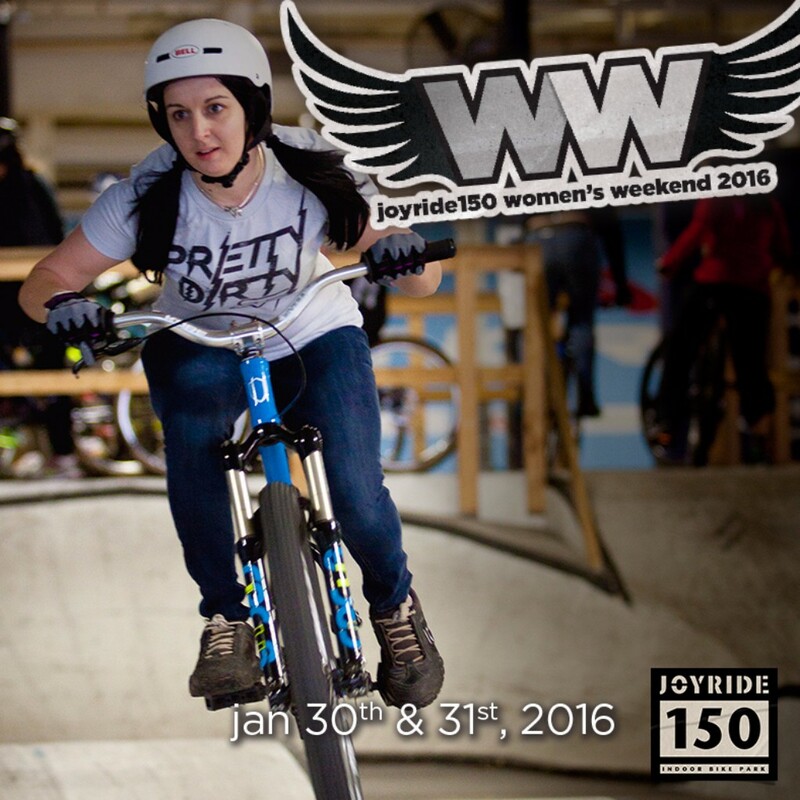 It happened to be my very first Women's Weekend at Joyride 150, it was awesome to meet new people and progress during the two days I was there. Day 1 was from 8am- noon, the park was split up in sections with coaches in each area. Each circuit was about 30 minutes, and you had the choice to move around or stay put. 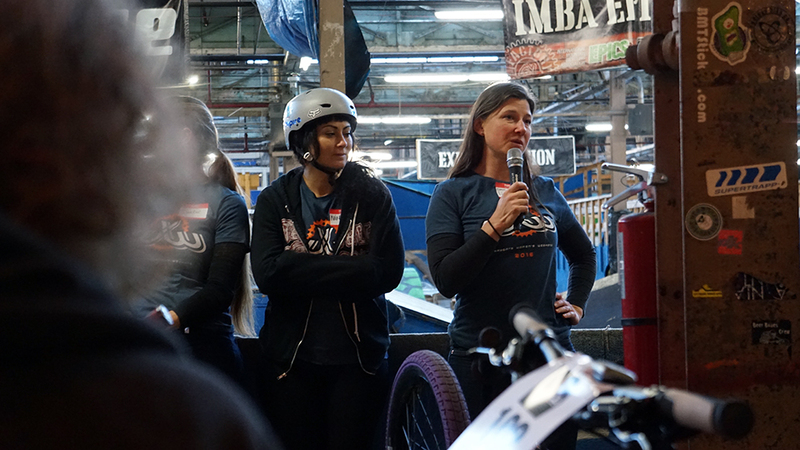 Those of us who were racers, enjoyed the clinic held by Coach Brendan Arnold, Coach Danielle Berndardi-Fisher and elite BMX racer Alex Wright. The amount of big bikes out numbered the little bikes, but it was cool to see everyone of all skill level trying each section of the park. Waking up so early was probably the most difficult part of the weekend, luckily I stayed in town to avoid the hour + drive. Everyone was greeted with a friendly smile and a welcoming atmosphere -no girl was going to be left behind today. 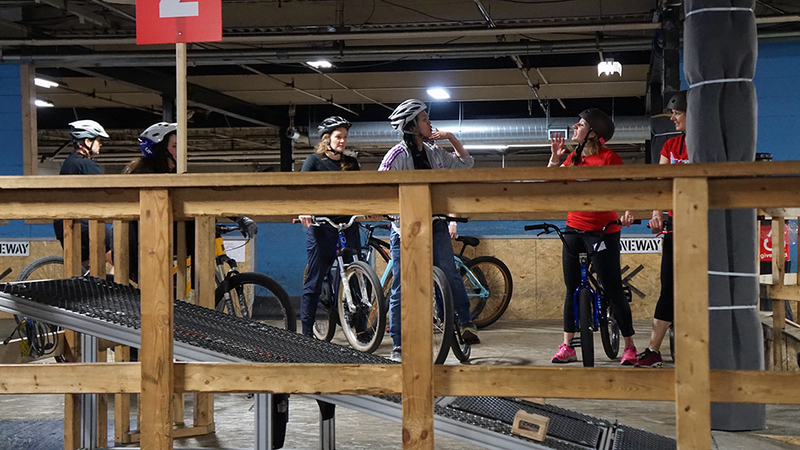 I think the pump track saw the most amount of eager riders looking to learn. 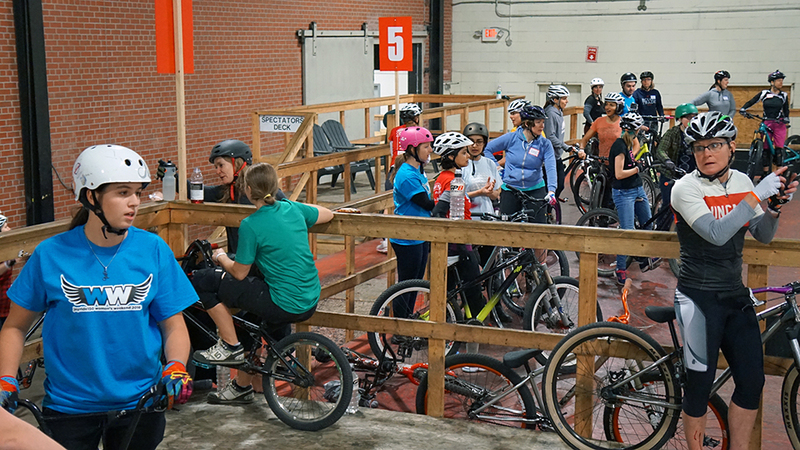 It didn't matter if you were rocking a 20" or 26"+, the skill of learning to pump was sought by every rider. Sarah Dinel was also in attendance. 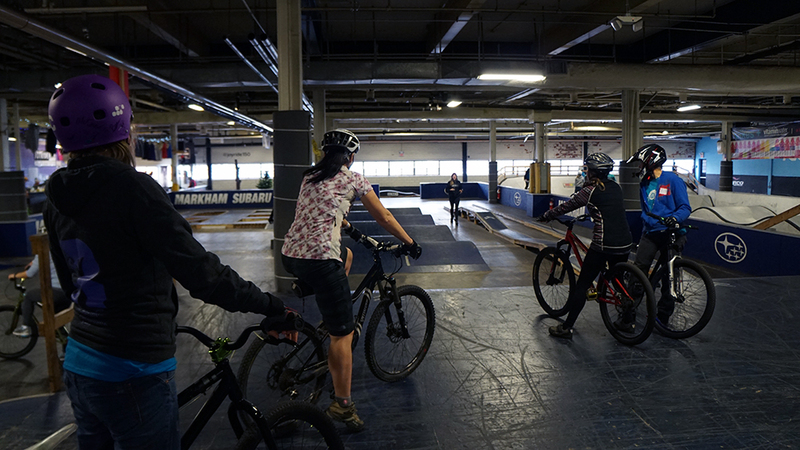 Didn't matter if you were a mountain biker or BMXer, everyone gelled together. Like any normal riding day, there were a few spills here and there. One of our girls actually rolled over her ankle on the expert jump line, but is expected to heal in a few weeks from the sprain. She's also in Mexico now, so I don't feel bad. 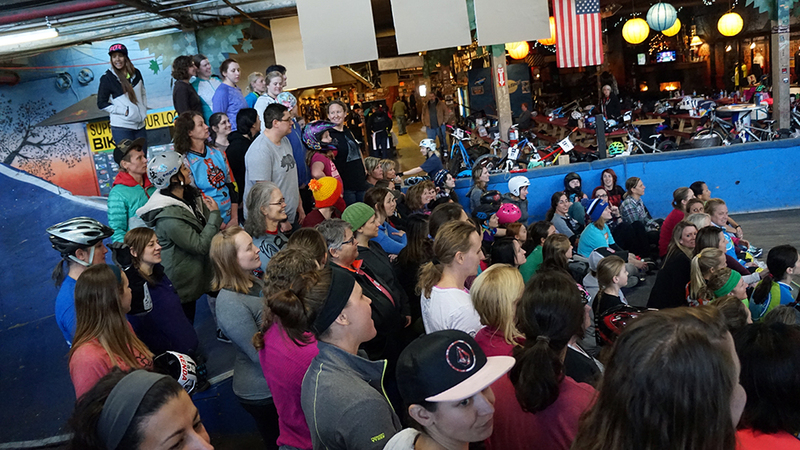 Nearly 150 riders were in attendance, which sold out the weekend! Day 2 was shorter, it was from 8-10am. The second day offered more of an informal lesson for the riders. The benefit to the 2nd day is to have the park all to yourself, without the guys around. I personally slept in, which was a bad idea in someways just because the park was PACKED by noon. 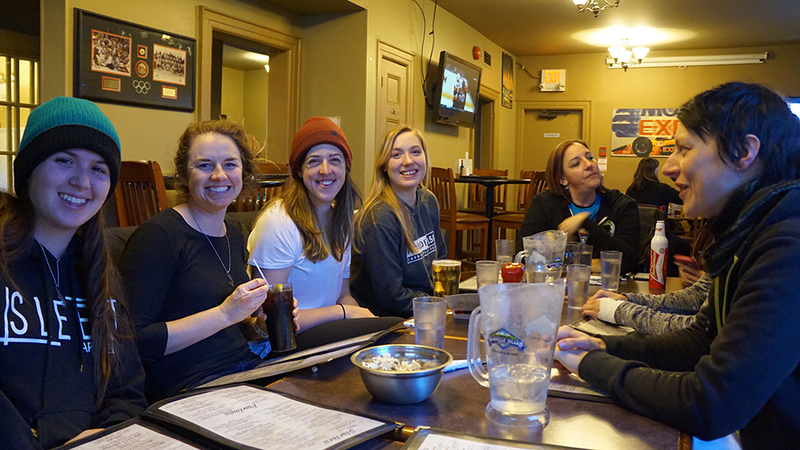 Saturday (Day 1) ended with a pub night, it was great to relax and eat with like minding people. 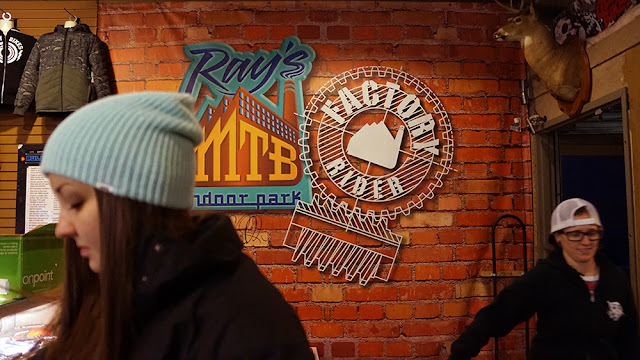 We spent the night talking about Poutine, Rays (which is this weekend) and what we enjoyed about the day. For those of you who are planning to go next year, buy your entry in sooner than later, there is a capacity! I look forward to see everyone again soon, and especially at Rays this weekend!